In the eighteenth century professional nurses were often written off as drunk, slovenly, or cruel. 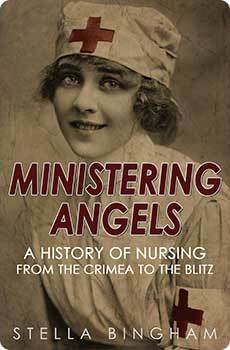 In the Crimea, under Florence Nightingale’s direction, they had become known as ‘Ministering Angels’. By the Second World War they wore battledress and worked on the front lines, on Hospital ships and in the bombed streets of London. They were universally regarded as a fundamental, dedicated, compassionate and disciplined component of the war effort. Ministering Angels elegantly traces the intervening history, and transformation, of the profession through war and peace. And it pays tribute to the tireless visionaries who helped change nursing, the professional sphere of women, and the world in the process. This new edition features a foreword by Yvonne McEwen, the official historian of the British Army Nursing Service since 2008.